The Red Sox have had a copious amount of injuries this season. Because of all the casualties, many minor league prospects, and some veterans, have been given the chance to show what they can do. 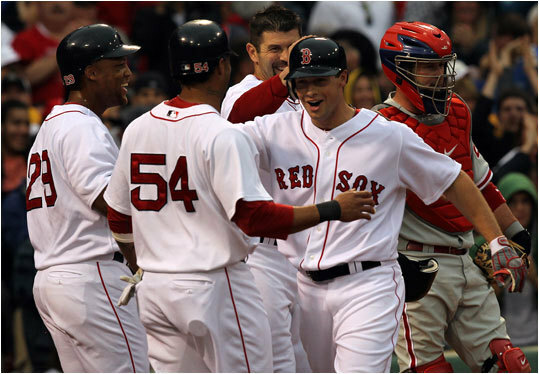 Had Jacoby Ellsbury, Mike Cameron, and Jeremy Hermida maintained a relatively healthy season, there is no way that the Red Sox would have seen Darnell McDonald, Daniel Nava, or Ryan Kalish. Sometimes I wonder if these guys–in the back of their minds–hope for injuries so that they can have a shot. To be honest, I never expected Ryan Kalish to be up this year at all. Not because he is a bad athlete or anything, but because how meticulous the Red Sox are when it comes to development. He started the year in Double-AA Portland, and he was performing at a very high level. No doubt that he was going to be moved up to Pawtucket, right? 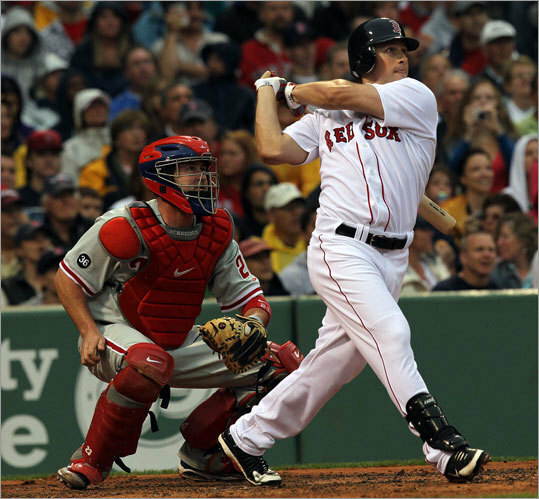 Kalish transitioned seamlessly from Portland to Pawtucket–considered by some to be the toughest jump. 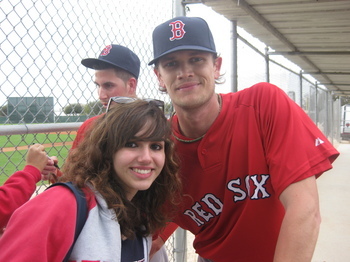 I think Kalish was called up because the Red Sox were unsure of what they had in Reddick. 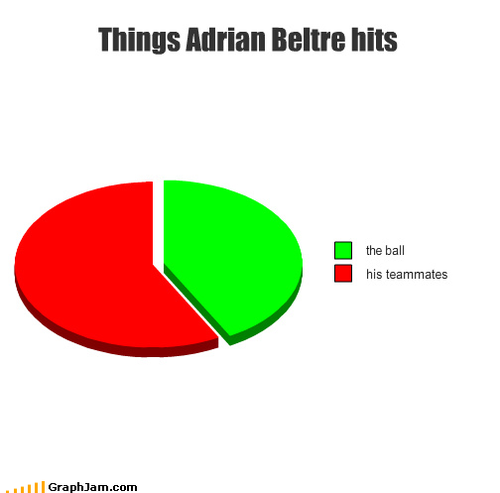 Believe me, I think that he is full of potential, he just hasn’t had the at-bats to prove it yet. He has been producing exponentially better since he changed his mechanics after the All-Star Break. The point I’m trying to make is that Ryan Kalish started the season in Double-AA, and now he is in the big leagues. I like to think that I have taken a similar path over the past couple of months. 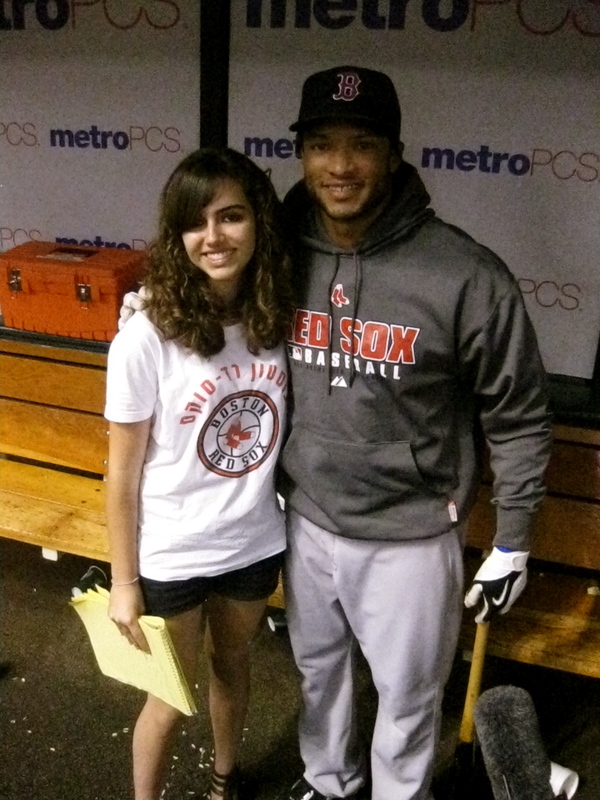 As you know, I worked in both Pawtucket and Portland this past summer. I was afforded unbelievable opportunities that gave me incredible access. I never expected to have that kind of access in the major leagues for a really long time. Those of you who have seen my pictures on Twitter and Facebook may be wondering how I got that kind of access. Basically, Subway is sponsoring this webcast that is going to be an app on Facebook and on youtube called “High School Heroes” (that might just be the working title). I think what they are trying to do is find kids around the country who are just really passionate about something, and they are just really into it. So they wanted to follow me around at a baseball game and kind of see what I normally do. Stalking a stalker, right? Here is the catch, though. Somehow, Subway was able to get me an all-access (minus the clubhouse) media pass for before the game, and even an interview with a player to be named later (my favorite expression…) I was allowed on the field during batting practice. 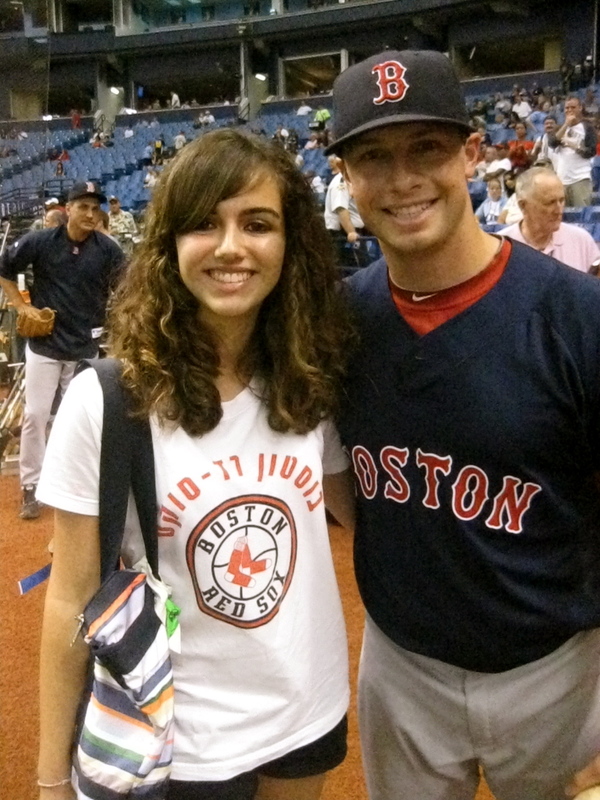 I think the objective was for me to have easier access to the players to ask for pictures and what not. The only thing is that when I get a press pass, I switch into professional mode, but this was kind of difference. This press pass wasn’t to get me the kind of access that I got when I was at Pawtucket/Portland. 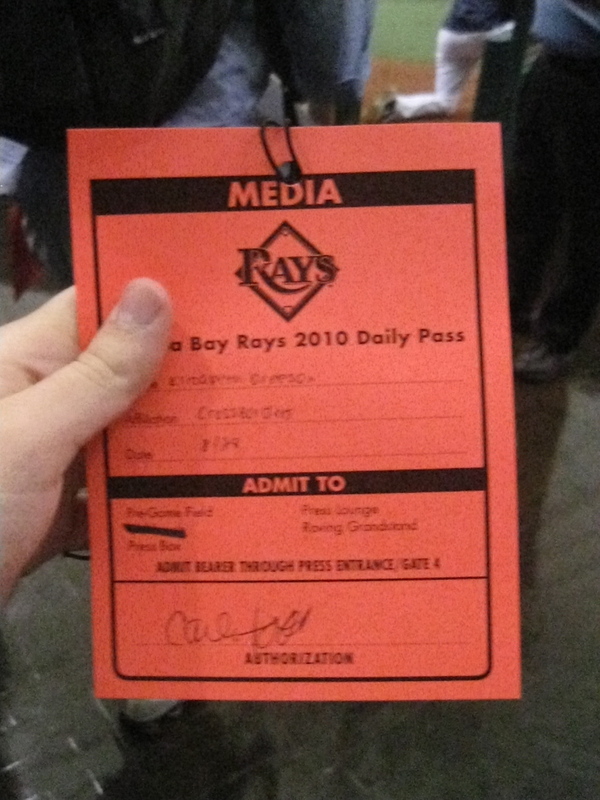 This press pass to get me the kind of access I had at, say, the minor league complex, but with the major league players. 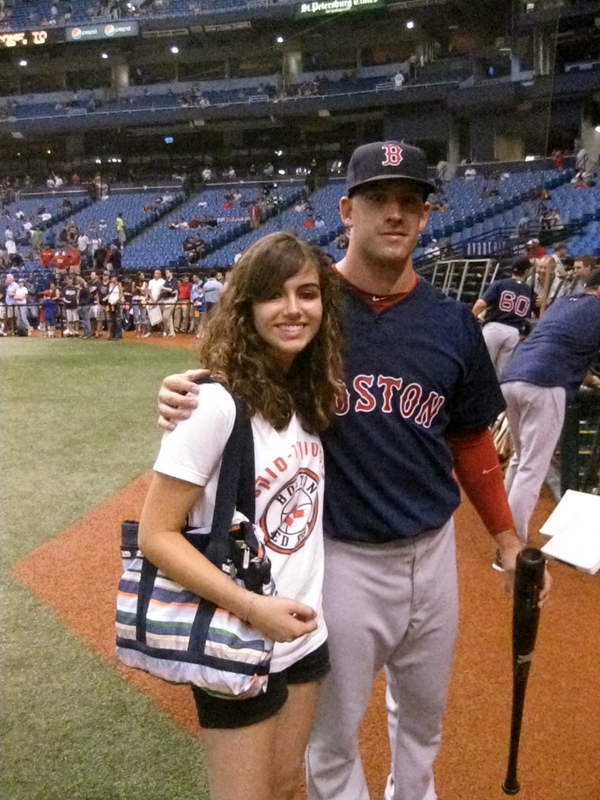 The first thing I did with this access was finally show Dustin Pedroia my Dustin Pedroia salsa. I didn’t have him sign it, though, because I was still kind of figuring out exactly how I was supposed to behave (for lack of a better word) with this pass. It was mainly an opportunity to discuss it with him. 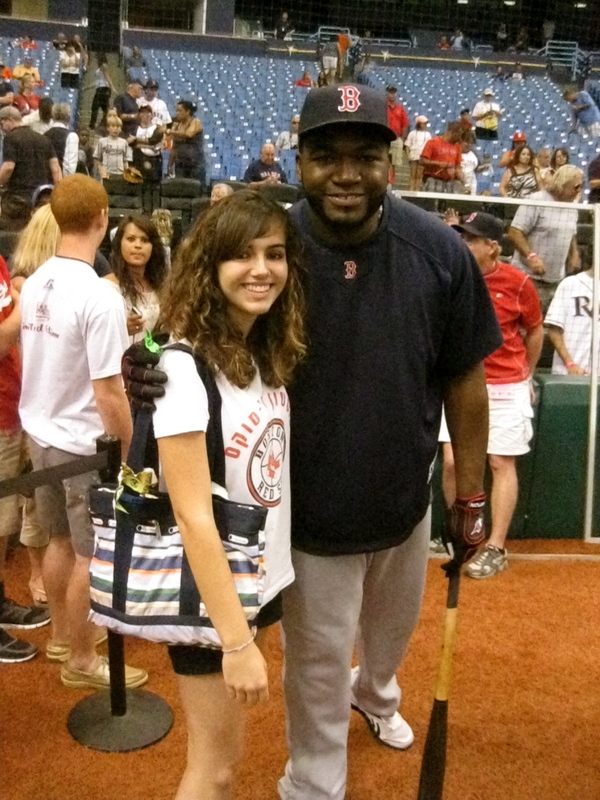 I decided to ask Big Papi for a picture. Never hurts to ask, right? There were some fans with pre-game access badges behind home plate, and he was over there as well, so I thought it would be an appropriate time to ask. 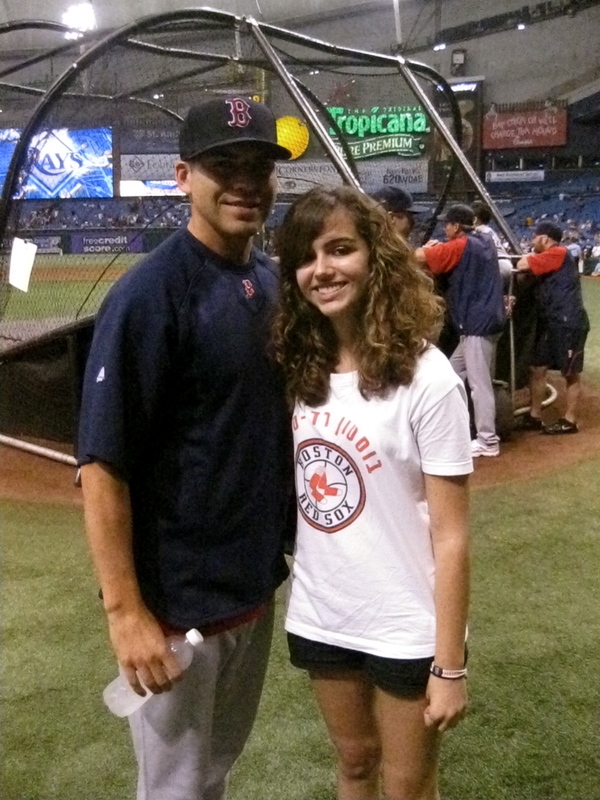 Then I asked Jacoby Ellsbury for a picture. Obviously, he wasn’t playing in the game, but he was still taking batting practice. 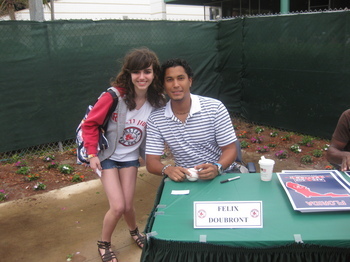 He was one of the nicest guys I met that day. It seemed like he cared about who I was, he wasn’t as dismissive as some of the other guys were (understandably so). 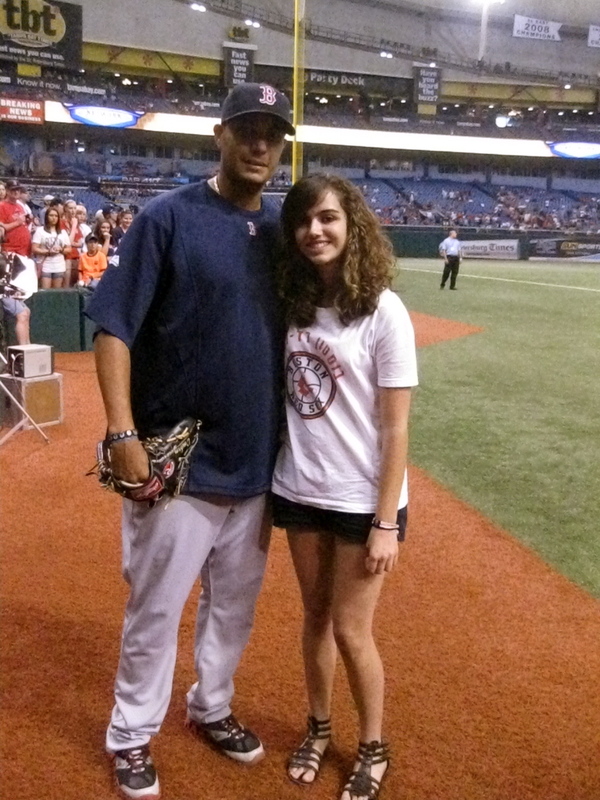 I also got a picture with Victor Martinez. It was absolutely surreal to be less than a foot away from these guys. I wasn’t separated by a fence, and security could not do anything to me. There were tons of fans around hoping for autographs too. Because I was where the players were, I now know that yes, they can hear you, but they choose to ignore you. It’s understandable because they have a job, it’s just annoying realizing that some of my efforts of the past have been futile. Luckily, if you’re on the field, they don’t ignore you as much. Emperor Felix was also kind enough to pose for a picture on his way back from shagging balls in the outfield. Unfortunately, Michael Bowden was sent down that very same day, which was really frustrating because I had been really looking forward to talking to him. I wanted to tell him that I plan on writing my college essay about my first interview with him. The prompt is to describe a significant experience and its impact on you. I didn’t realize how big of an impact it had had on me until I was writing the essay. As Daniel Nava and Ryan Kalish were jogging in, I asked them for a picture, and they said they would do it after batting practice. 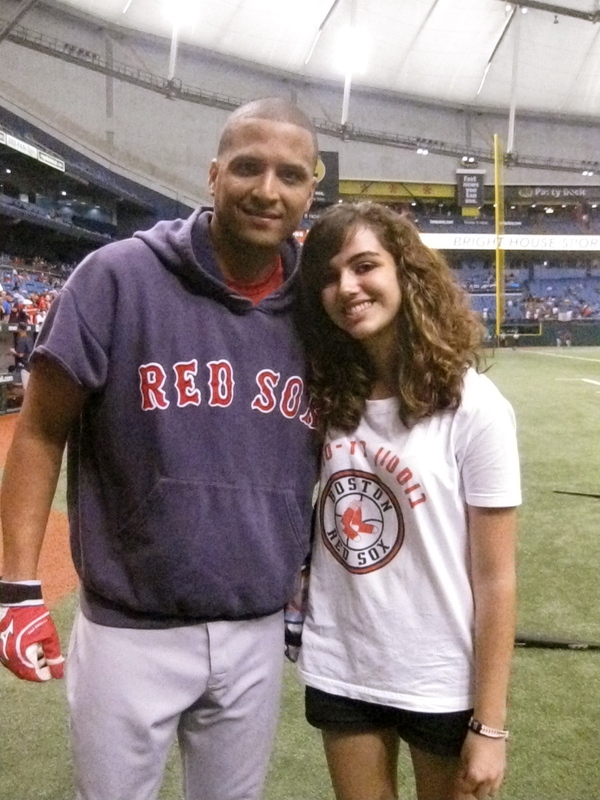 Before Nava went to batting practice, though, I was able to tell him how I was at his Double-AA debut. I was even able to show him the notes that I had from the game. We were talking about the first hit he got on that level and he said, “the ball found [him]” which I thought was really cool. 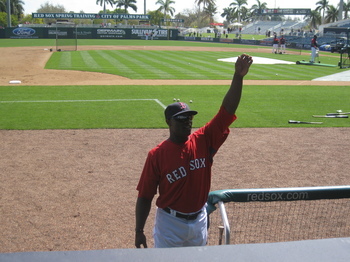 The interview with the “player to be named later” was Darnell McDonald. I was so excited to interview him, but at the same time, I was really nervous because I had no time to prepare the questions. I had found out about it about an hour and a half before. Luckily, I had my notebook filled with various questions from my interviews in Portland. I asked him about his favorite major league experience. I assumed it would be either Opening Day with the Cincinnati Reds in 2009, or his debut with the Red Sox, so I listed those two options, but I obviously left it open for something else. He said his favorite moment was at one of the San Francisco games this past summer. In fact, I was at the game. Before the game, a young boy with cancer had given him a blue band, which he was still wearing. In his very first at-bat that day, he hit a home run. 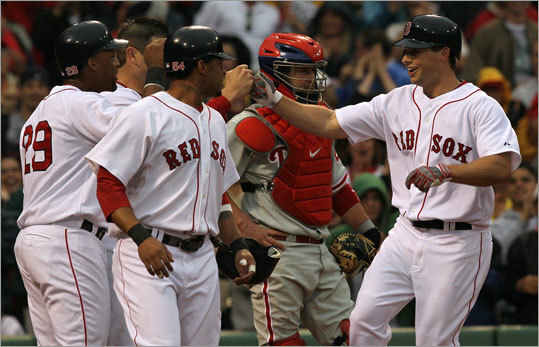 I remember being there for that home run, but I never realized it had that much significance to him. That was certainly beyond baseball. I had access to the press box during the game as well, so that was incredible. I had never been in a major league press box, and I didn’t expect to be in one until after college. This was a nice taste. In the press dining area, I had the chance to speak with Amalie Benjamin, a writer for the Boston Globe. She was very genial, and she told me that she went to Northwestern (currently in my top two choices). Although she didn’t go to the Medill School of Journalism, she used all of its resources. I really enjoyed talking to her because I admire her writing, and she is someone that I look up to considering she is a successful female sports journalist. I did not feel all that lost in the press box considering I had been in one a couple of times before. The only thing was that I didn’t have my laptop, but I was fine. I tried to keep track of all of the pitches in my notebook, and I kept score as well. I am definitely getting used to this. There was only one bad part of the night. The fact that Scott Atchinson gave up a walk off home run to Dan Johnson. My father and I had driven four hours to see the Red Sox lose, and then we had to drive all the way back after a pretty devastating loss. It was such a great baseball game to watch, though. A great pitcher’s duel between Garza and Buchholz, and just back and forth baseball that kept me on the edge of my seat (even though I had to maintain some level of objectivity in the press box). I think the pros outweighed the cons in this case. The kinds of opportunities that I have been getting for the past few months have been out of this world. I can’t thank the people of the various media relations departments enough to trust that I will be responsible with this kind of access. I don’t know if it all has set in yet. It’s really hard for me to believe that all this is happening, but I just try to go with the flow. I really think that it’s all a matter of taking every opportunity that you can get.